Available in August 2017 are the Alien Nesting Dolls! 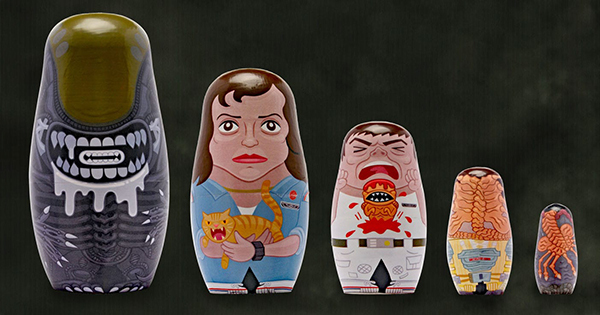 It's the first mass produced nesting doll I've ever designed and are part of PPW Toys Artist Series! It features all the characters that we've grown to love over the years from the sci-fi classic. The biggest one is Xenomorph, followed by Ripley, Kane with the chest burster alien, Kane with a good ol' face hugger and the smallest is an egg with a face hugger coming out. The largest doll is 5.5" tall and the smallest is 1.5". These are available for Pre Order right now at PPW Toys!